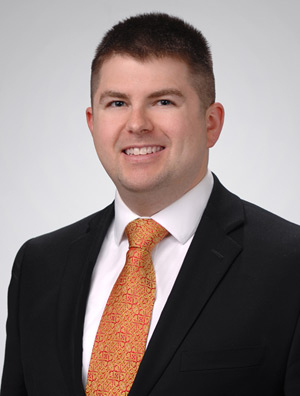 Eric Anderson is a member of the Intellectual Property Practice Group, with an emphasis in technology transactions, patent prosecution and patent applications in the mechanical, software and electrical arts. He has direct experience in automotive technology, fluid control, automated vending, data science, medical devices, textiles, and firearm safety devices. Eric believes intellectual property law is a driving force behind our technology-based way of life and effectively helps clients protect their inventions and bring them to market. He is fluent in French and German and has experience prosecuting foreign patent applications as well as before the United States Patent and Trademark Office. Before practicing law, Eric worked as an engineer in the aerospace, automotive, and marine industries. His work included testing prototype electromechanical actuators for satellites, evaluating lighting systems for commercial jet airliners, designing marine power transmission systems, designing automotive parts, and implementing manufacturing efficiency improvements in an automotive assembly plant. Eric enjoys motorcycling and woodworking. He lives in Chicago with his family.